Xobega Island Camp is a piece of paradise in the great water wonderland that is the Okavango Delta. 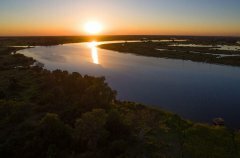 Just off the mainland of Moremi Game Reserve, Xobega (or Gcobega) Island is ideally located and easily accessible for self-drivers (4 x 4 only), and what it offers can’t be beaten. 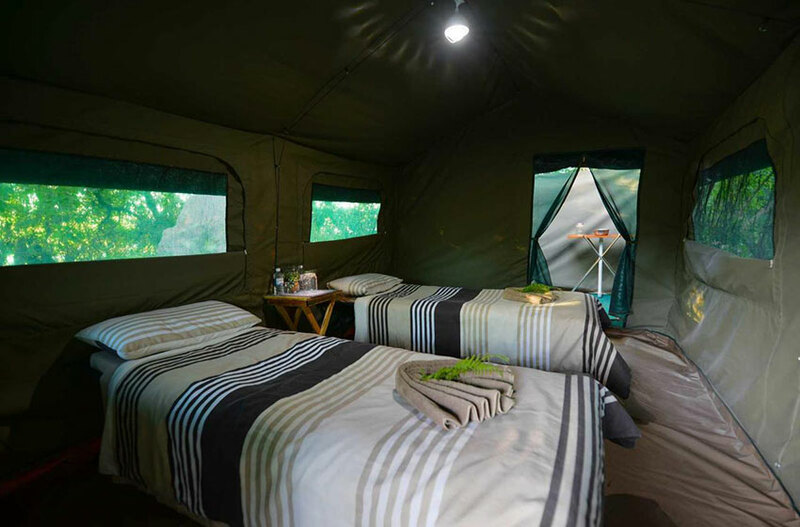 A bird-lover’s paradise, and an adventurer’s dream, Xobega has 10 light Meru-style canvas tents equipped with twin stretcher beds and en suite, open-air bathrooms. Everything about this camp is eco-friendly, from the solar-power, to bucket showers, and chemical toilets. Guests arrive at the tree-filled island via boat and are welcomed to this simple safari. 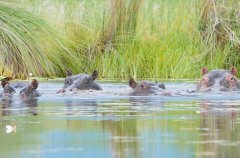 Hippos rule the waters around the island, lions are heard across the water, and a Pel’s fishing owl takes up residence in the trees. 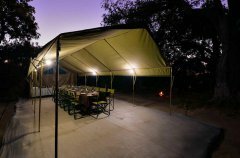 Xobega Island Camp is located on a small island in the Okavango Delta and the camp is accessed by boat from Mboma Island boat station in the Moremi Game Reserve. 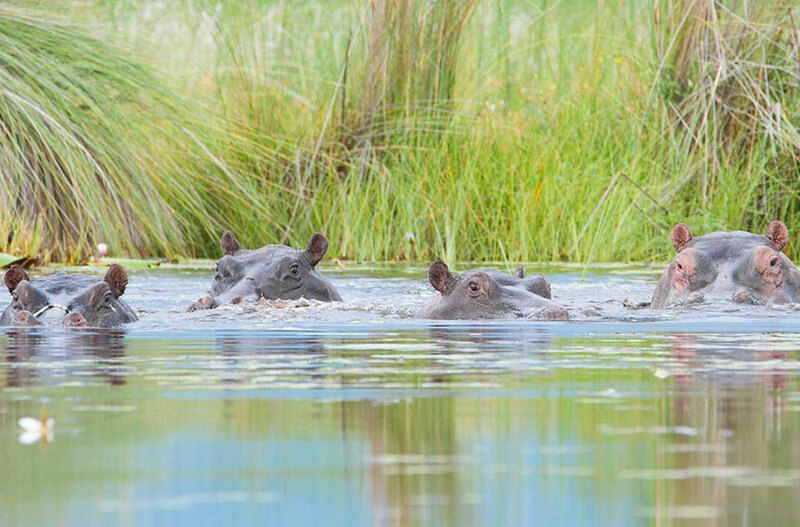 This location is easily reached by self-drivers (4 x 4 only) travelling from Maun Airport, through Moremi, and to Mboma boat station, where they will be picked up transferred to Xobega on a 45-minute boat cruise. On arrival at Maun Airport, exit onto Airport Road and continue to the stop street intersecting Sir Seretse Khama Rd. Turn left onto Sir Seretse Khama Rd and continue straight out of town, crossing the Thamalakane River, until you reach a roundabout. Turn left (first exit) and continue from tar to gravel road, cross the vet fence and eventually keep left at fork, continuing to Moremi South Gate (aka. Maqwee). From Moremi South Gate, drive straight towards Third Bridge, turning left 2km before you reach Third Bridge at a sign indicating to do so. Follow that road until a 3rd sign indicating a left turn, which you take, and finally a 4th sign approximately 1.5 km from the boat station. Turn right here and continue until you arrive at the boat station. 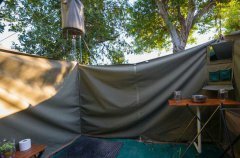 Xobega Island Camp is located on a small island (Gcobega) in the Okavango Delta and the camp is accessed by boat from the Xakanaxa Boat Station in the Moremi Game Reserve. This location is easily reached by self-drivers (4 x 4 only) travelling from Maun airport, through Moremi, and onto Xakanaxa BoatStation, where they will be picked up and transferred to Xobega on a 45-minute boat cruise. On arrival at Maun Airport, exit onto Airport Road and continue to the stop street intersecting Sir Seretse Khama Road. Turn left onto Sir Seretse Khama Rd and continue straight out of town, crossing the Thamalakane River, until you reach a roundabout. Turn left (first exit) and continue from the tar to gravel road, cross the vet fence and eventually keep left at the fork, continuing to Moremi South Gate (also known as Maqwee). 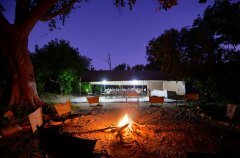 From Moremi South Gate, follow the sign post straight to Xakanaxa through the Mopane forest (42km). Drive straight at the junction after the Wildlife office (sign posted) to Xakanaxa boat station. Guests self-driving (4 x 4 only) to Xobega Island Camp, will need to pay BWP120 per person per day, and BWP50 per vehicle per day at the gate that they enter the Park. Cash only is accepted. 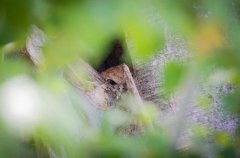 Birdwatching from the camp and boat – Pel’s fishing owls are known to nest on Xobega Island, giving avid birder’s something very special to look forward to. 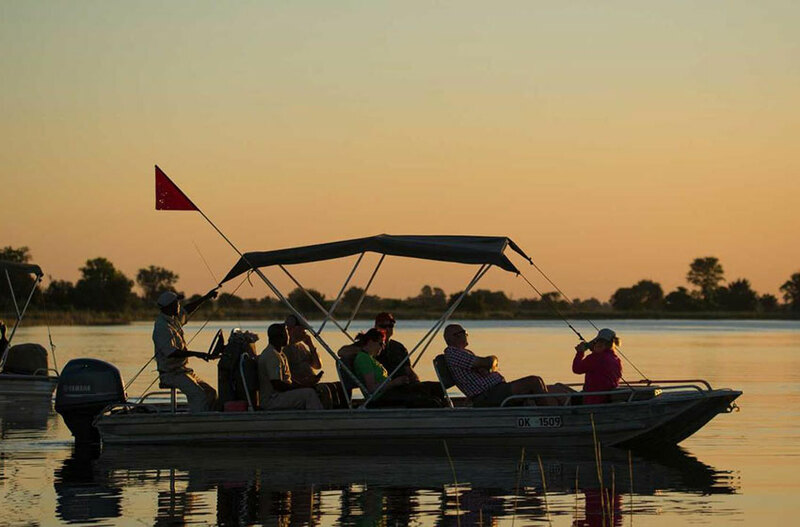 Sundowners on the water – Guests can enjoy icy refreshments at the most beautiful time of day as the boating safari continues, or a stop off at an island for sundowners. 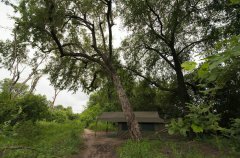 Mokoro safaris – Optional at boat station on transfers in and out of Xobega Island. Photography – Whether out on the boat or relaxing on the island, always have a camera handy, especially if you are a keen birder. 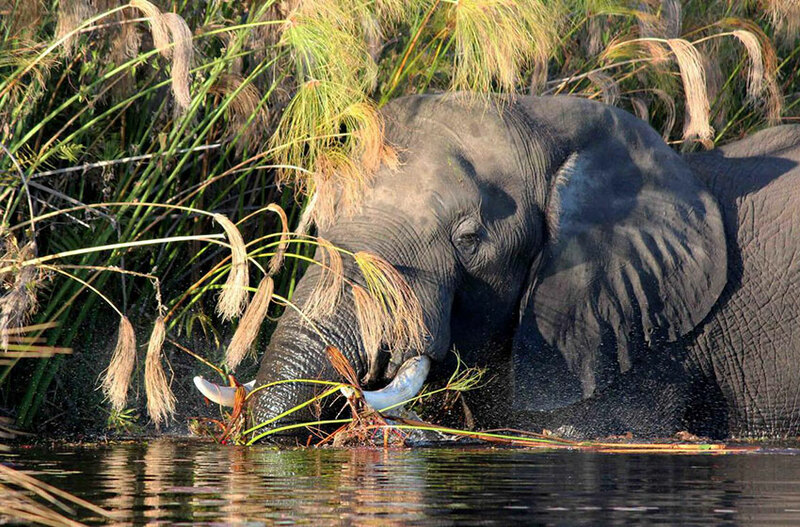 Botswana is a wildlife paradise, with elephants roaming in high numbers, hippos occupying every waterway, buffalo gathering en masse to drink from the waterholes, zebra migrations, red lechwe bounding through rivers, giraffe touching the tree tops, and warthogs shovelling the earth. The birdlife in Botswana is no exception to the fantastic collection of wild creatures that call this country home. 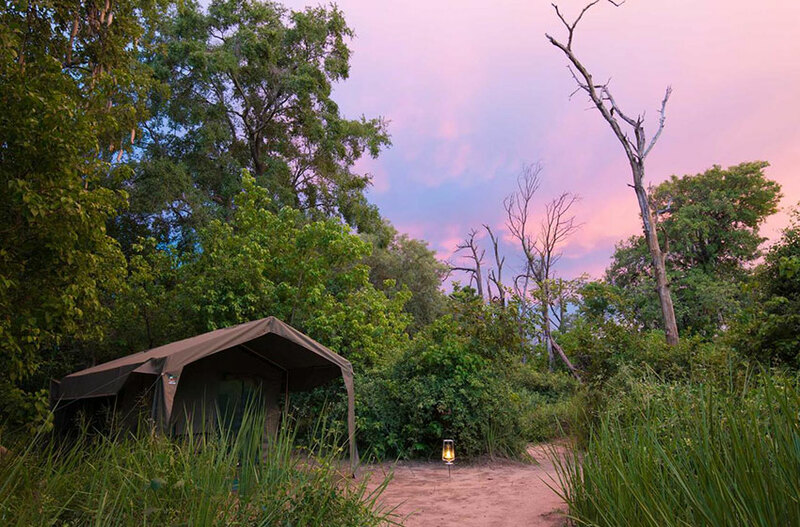 The many waterways of the Okavango Delta and Moremi create a habitat for many water birds, while raptors soar overhead, and melodious larks disguise themselves in the scrub. Before travelling, guests are encouraged to consult their local doctors on anti-malarial medication and preparation, however a repellent stick or spray is effective and should be utilised. The climate in Botswana brings very hot, dry periods (September, October), and also very wet seasons (December-February). Winter (June, July, August) packs cold nights and mild, dry days, while November to February is hot and wet. Temperatures in summer soar as high as 40°C bringing warm nights and humidity levels fluctuating between 50% and 80%. The average annual rainfall is 450mm and most of it falls between December and March in the form of heavy afternoon thunderstorms. In contrast, the winter nights can drop to barely above freezing in the Delta and the desert, although daytime temperatures at this time of year are mild to warm. Bring sun protection in the form of sunblock, sun hats, and glasses. Scarfs, jackets and gloves are needed for early mornings on the boat, especially in winter. Comfortable walking shoes are essential, as is sun protection in the form of hats, sunglasses and sun block. We are unable to accommodate children under the age of 12. 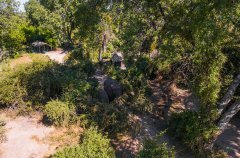 All drinks, Moremi Park fees if self driving, all items of a personal nature, gratuities, any item not described above. Please note that all self drive guests will need to present their Reservations Summary and Invoice for their Xobega Island Camp booking. 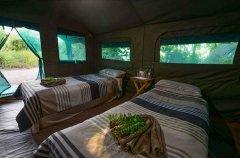 In addtion the camp is only accessible via a proper 4 x 4 and preferably with prior 4 x 4 driving experience. 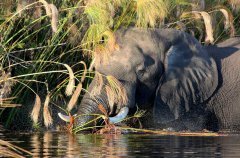 The road transfer between Tuskers and Xobega is a 3-5 hour game drive through the Moremi Game Reserve along the Khwai River. A picnic lunch is included in the cost as well as coffee/ drinks stops. Children pay the same rate as adults. Should a specific time be requested, we will try our best to accommodate but should we be unable to accommodate then flight will revert to a private charter and a new costing will be quoted on. Rates are quoted in US$. Rates are subject to change without prior notice. The airstrip used for Xobega Island Camp is the Xakanaxa airstrip. Xobega is accessed via a short road transfer from the airstrip to the Xakanaxa Boat Station and then a boat transfer to Xobega Island Camp. So guests can fly and boat transfer into Xobega from Maun or they can road & boat transfer from Tuskers to Xobega. If guests overnight in Maun the night before, a combination of a road and boat transfer from Maun via South Gate to Xobega via the Xakanaxa Boat Station is possible. 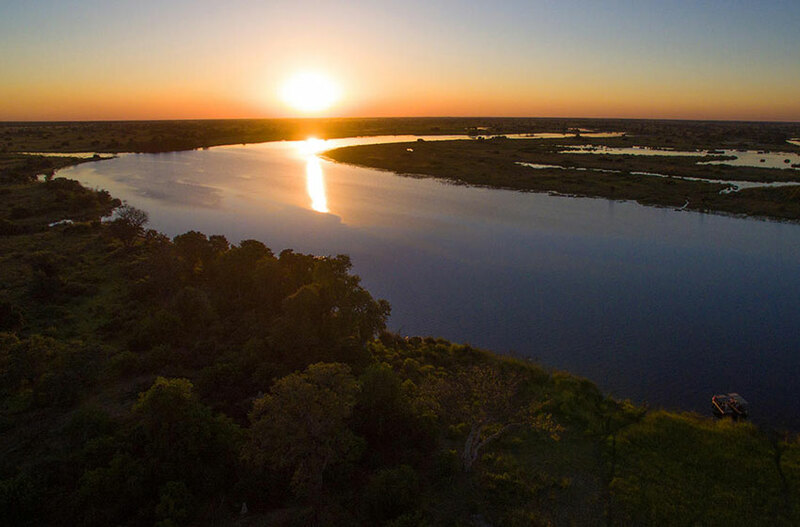 Please note that guests that fly into Maun on the scheduled flights from Johannesburg & Cape Town are not able to road and boat transfer on the day of arrival, they can only access Xobega in time by flying to the Xakanaxa airstrip. Connecting between Xobega Island Camp and Camp Savuti and Camp Linyanti is done via their airstrips of Xakanaxa, Savuti and Saile respectively. Xobega Island Camp is unfenced in an area where wildlife abounds. 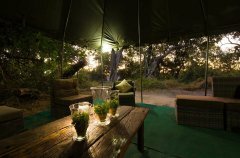 It is a thoroughly wild paradise with canvas guest tents, a dining tent, and two lounge gazebos containing wicker furniture, perfect for outdoor relaxation. The dining tent houses a coffee station, and a long family-style dining table. 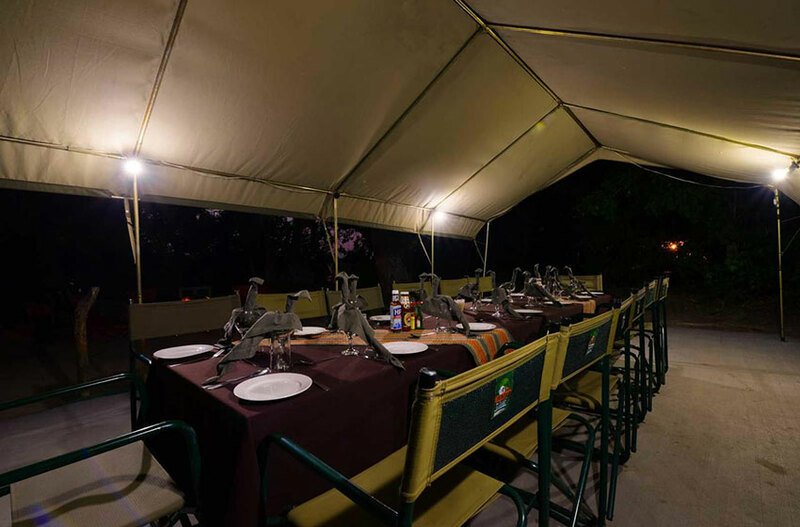 There is an open boma, which is essentially a fire pit under the trees surrounded by canvas chairs, creating an excellent spot for evening gatherings. A small wooden jetty is the ‘doorway’ to the island and where guests are received by their Xobega host and staff as they step off the boat and are directed along tree-lined pathways to their tents.